Hey there, Viva la Verve fans! 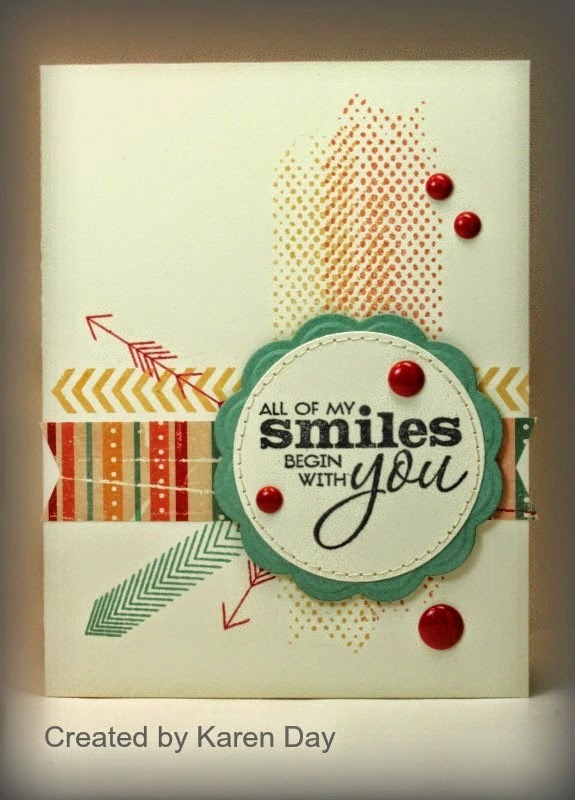 Stacey here sharing this week's VLV Recap and Viewfinder...a chance for us to spotlight a few fabulous creations from our Verve friends. Here is my take on this week's sketch, a Mother's Day card. 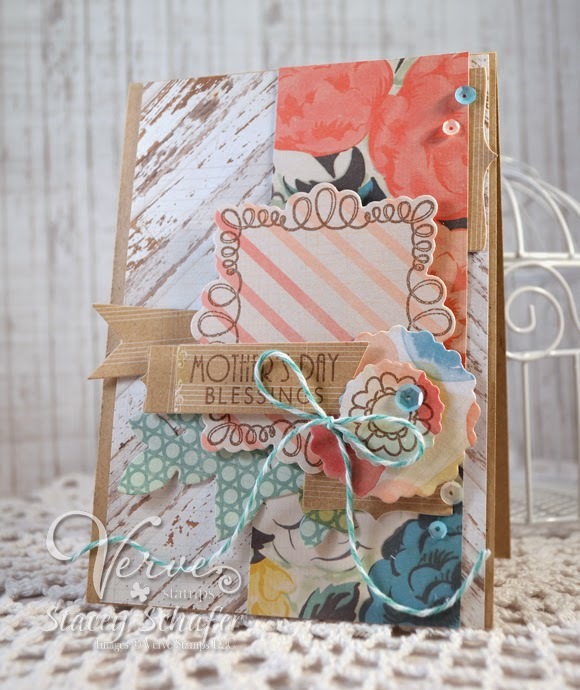 Mother's Day is less a month away...a great time of year to grab your favorite floral stamps and dies to whip up some Mother's Day love! I stamped the flower, sentiment and doodled frame from On Occasion. The doodled frame was stamped on the Occasion Frame Die, the sentiment on Flag It Die Set and the flower was stamped on Floral Circles Die Set. You can also see the Elegant Flower Die peeking out under the frame and a few sprinkles of Pastel Sequin Mix! Here is Teresa's awesome sketch! Check out these cards from the gallery that caught my eye! 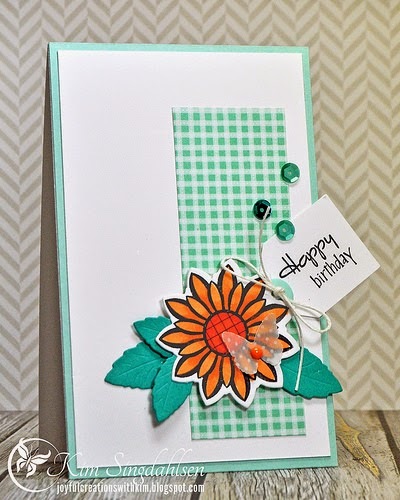 How fun is this card by Karen Day?! Love how she paired up our Verve challenges with Better Together! 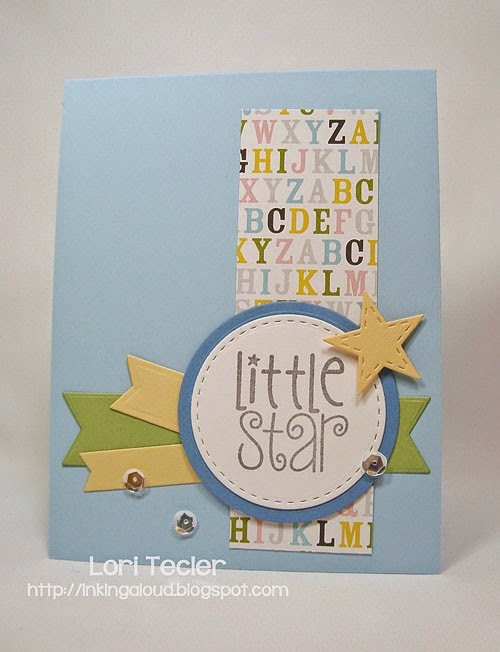 Here's some more super sweetness from Lori Tecler, using Shining Star for a precious card for a special little one! Adore Kim Singdahlsen's lovely card! Check out that gorgeous flower from Lean On Me that she colored and placed ever so beautifully upon a clean & sharp background! If you haven't yet joined in this week's challenge, we hope you'll squeeze us in - thanks to the ladies who have shared their lovely creations already! Where can I buy Verve Stamps? 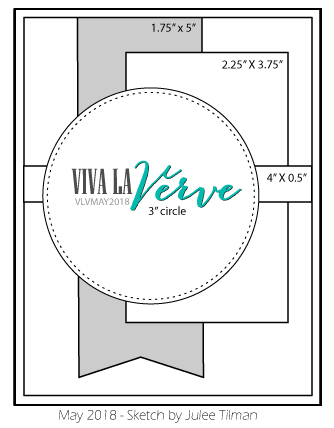 Verve Stamps are available online only through our website. Can I combine challenges? Yes. As long as your card meets the challenge criteria, feel free to do a two-for-one. Where do I link my card? There's an entry form tab at the top of the blog where the link list for the entire month resides. Or you can click the Viva la Verve Link Up badge on the side bar. Or you can click this Entry Form link right here. What are the rules? You can read the full list of rules here. Basically follow the challenge, link back to us in your blog or gallery post and HAVE FUN!